A vintage inspired oval cut diamond engagement ring featuring elegant leaf shaped shoulders sweeping up to the centre stone. 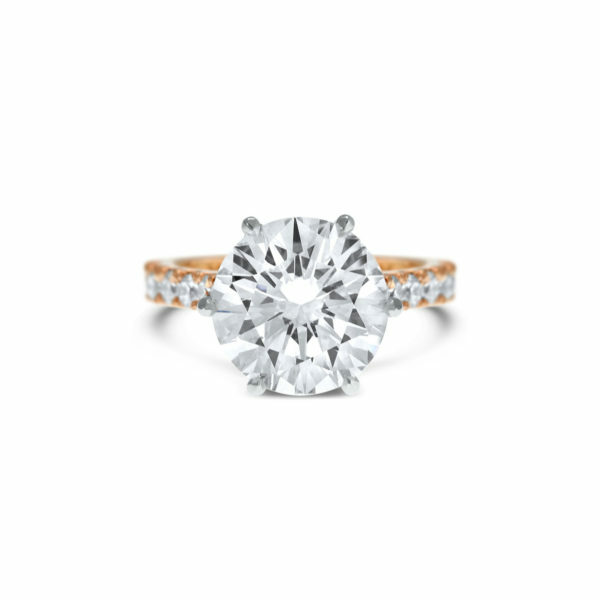 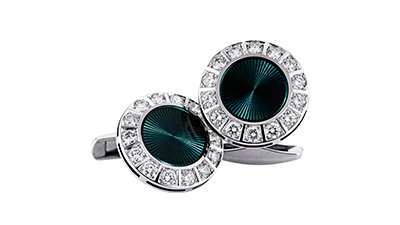 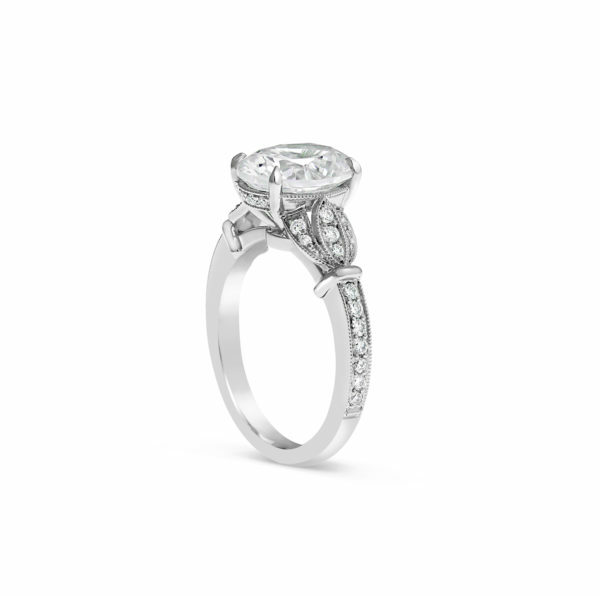 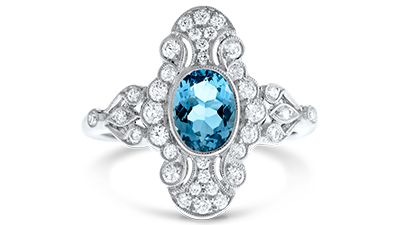 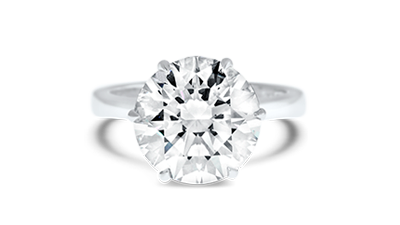 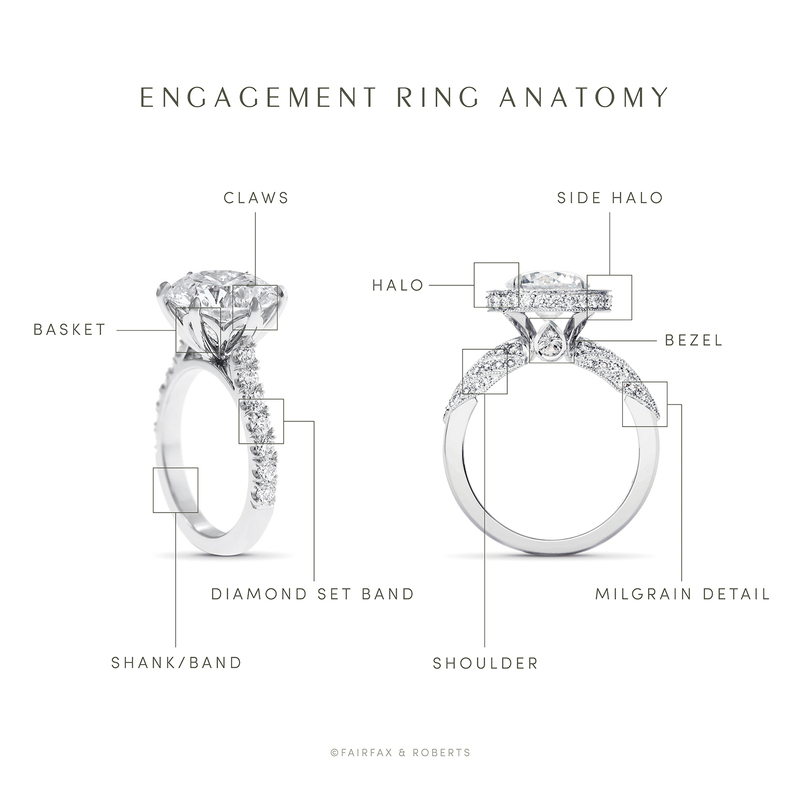 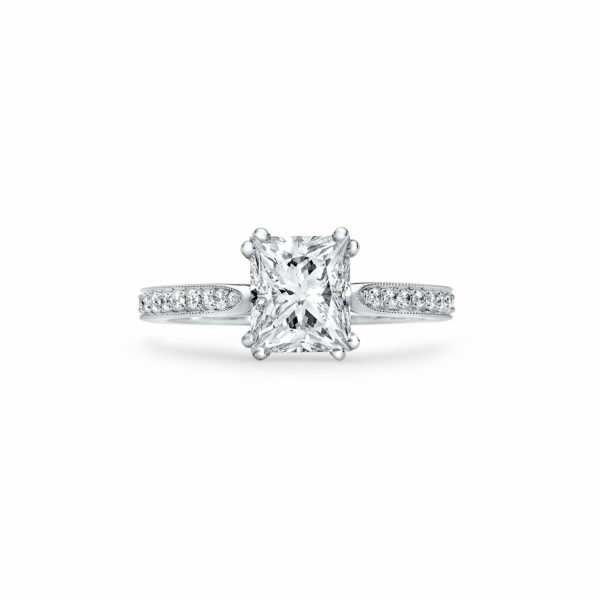 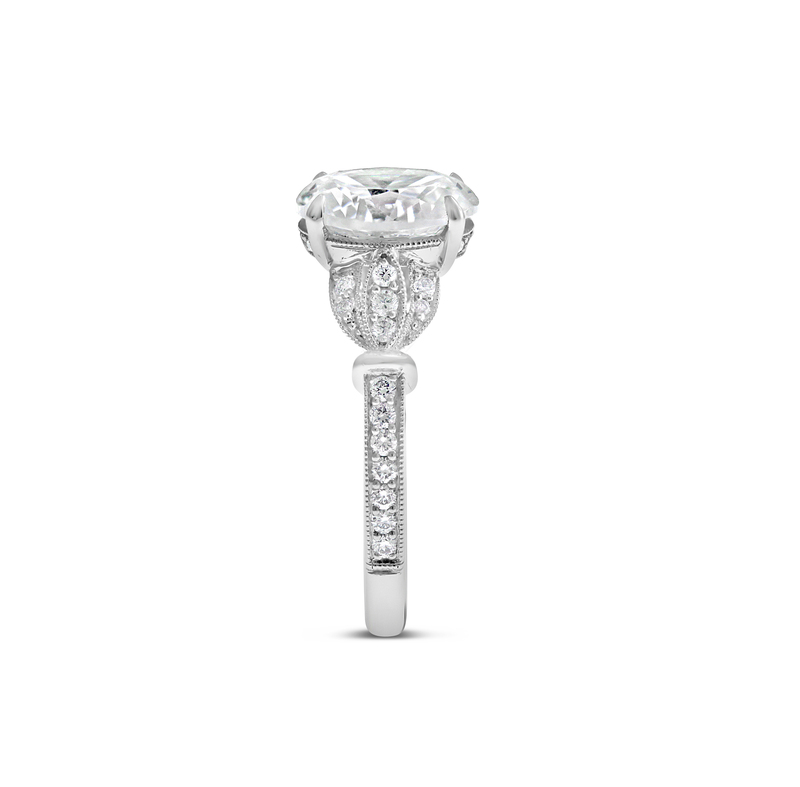 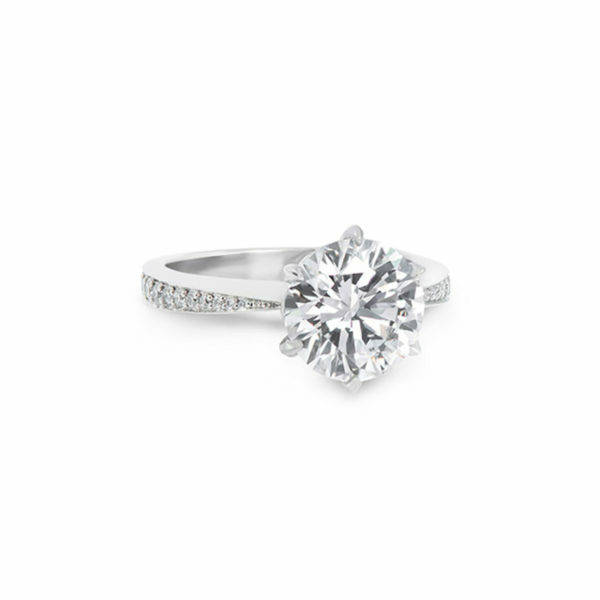 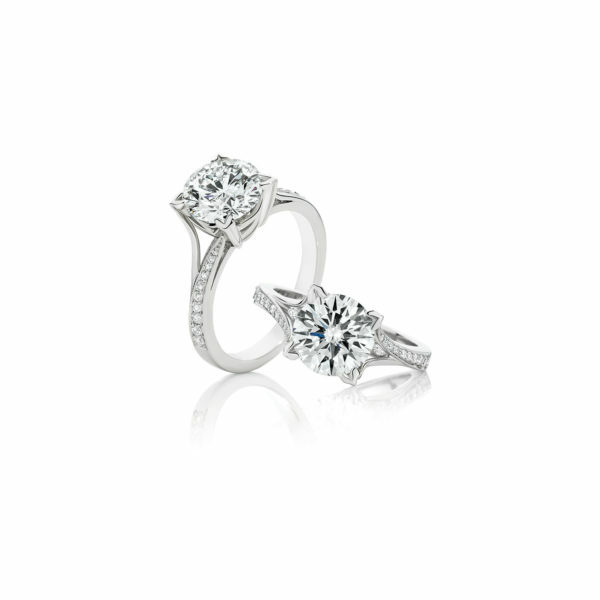 Round brilliant cut diamonds and fine millgrain detailing throughout. Available in platinum, 18K white, yellow, rose gold or any precious metal combination. 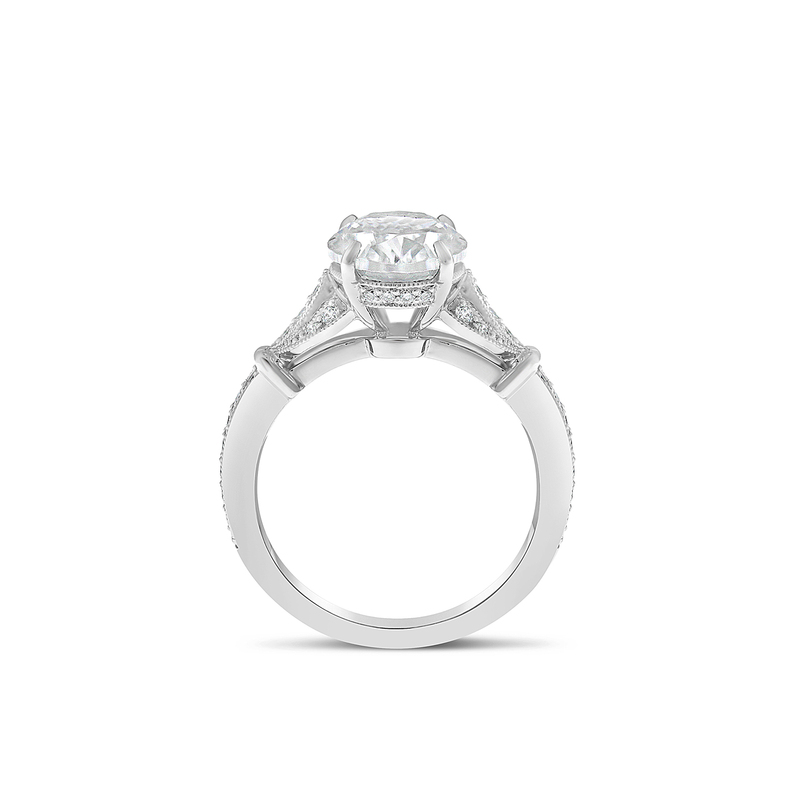 Pictured with an estimated 2ct centre diamond and 0.34ct of smaller diamonds.